What a week we just had in the NFL divisional playoffs, the saying of defenses win championships was marked with an explanation mark as we have seen the league’s top offensive teams all go down. We are now left with the final 4 which include 2 defensive powerhouses in San Francisco and Baltimore, a balanced offense and defense of the NY Giants and the only remaining offensive threat which is the New England Patriots. My Super Bowl Betting Pick from the get-go has been the Baltimore ravens, I posted this pick week 7 of the NFL and I have not changed a word in that article since. And I don’t plan to! The Ravens will now take on the New England Patriots who beat up on Tim Tebow and the Denver Broncos. This matchup will be another classic offence vs defense story. The Ravens come in as one of the best defenses in the league while the Pats and Tom Brady have continued to put up the points by passing the ball with ease. Baltimore had a much more difficult matchup as they played the talented Huston Texans, in that game the Ravens had their slumps on offence but we saw some great plays by QB Flaco and some amazing grabs by the Ravens wide receivers. With the point spread sitting at 8 points in favor of the home team New England patriots I will be placing my bet on the Baltimore Ravens, they have had a much more difficult schedule than the Pats this season and I think Defense will once again prevail over offence. 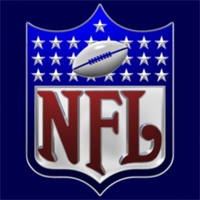 You can follow all my NFL picks at my site www.nflbettingpicks.net We will have previews of every playoff game and what betting trends we see come game day and what in active injuries could affect the outcome of the game.